Supreme Court Rules Against Police on Warrantless Searches of Vehicles, But Does the Ruling Change Anything? The Supreme Court today trimmed down police authority to search the passenger compartment of a vehicle after they've made an arrest on an occupant. Under the rule outlined by the Court, police may search the passenger compartment of a vehicle after arresting an occupant only if "it is reasonable to believe" that the arrestee might be able to access the vehicle or that the vehicle contains evidence related to the offense he or she got arrested for. The case, captioned Arizona v. Gant, involved an Arizona man who got arrested for driving with a suspended license. He was then handcuffed and locked up in the back of a police car. At that point, police went ahead and searched the inside of Gant's car and found some drugs in a jacket that was on the backseat. Gant's attorney tried to have the drug evidence thrown out of court by arguing it was the product of an illegal search, but failed at the trial level. Gant was already arrested, so how could police legally go ahead and rummage through his vehicle on the spot? The explanation from the perspective of police was that, under well-established law, police are allowed to conduct searches of vehicles "incident to arrest" without a warrant. This means that when police make a valid arrest of a vehicle's occupant, they are permitted to search not only the person, but also the immediate area around them, which can include the passenger compartment of the vehicle (plus containers therein). The problem in this particular case, as pointed out by both the state high court and Supreme Court, was that a key reason for letting police search vehicles incident to arrest was to protect police officers. Once an arrestee is "secured" to the point that they have no access to their vehicle, the safety justification for intruding on an arrestee's "privacy interests" disappears and cannot simply be disregarded. Of course, this leaves substantial gray area regarding when someone is "secured" to the extent police are not permitted to search a vehicle, but this sort of ambiguity really isn't anything new. This case may also beg the question of whether police will have much of an incentive to secure arrestees, as opposed to say, just handcuffing them near the vehicle and going ahead with a search incident to arrest. As noted above, the Court also left available authority for police to go ahead and search passenger compartments if police reasonably believe there is evidence in the car related to the arrested occupant's offense. This will probably come into play most often in drug and weapons cases, but in Gant's case for example, he was arrested for driving on a suspended license (totally unrelated to any desire to search for related evidence or drugs, etc.). 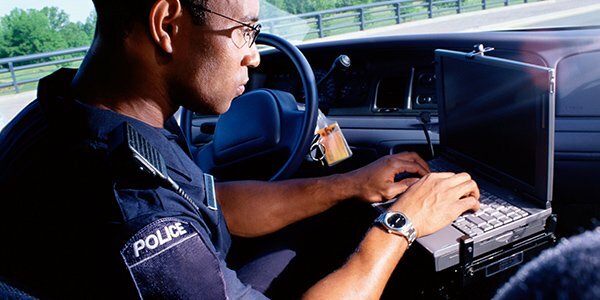 Below are some more links and resources related to the case and warrantless search law.